I find space launches so incredibly inspiring. We are ready for launch to the Moon, then to the planets, and then to the stars - we just need to restart the countdown and enjoy the long road to the stars. Our robotic probes are exploring the solar system, and manned space exploration could restart sometime in the next decade, but the road to the stars will be long. Therefore, we need to find and keep inspiration. The spectacular achievements of the Apollo program in the sixties gave us the mistaken impression that the road to space would be easy and quick. As a child of the sixties I spent most of my life regretting that we didn't build those cities on the Moon and the planets. I was 11 when I watched on TV the first man walking on the Moon, 15 when I watched the last, and it's very unpleasant to realize that I'll probably be 75 or older (or not be) when we go back to the Moon. Now I realize that the Apollo adventure was too far from our supply lines to be sustainable. But we are still doing space, and someday (not soon) we will go back to the Moon, and then to Mars, to the planets, and to the stars. In the meantime, we can enjoy our little steps in space, admire the view and think that, as crew members of Spaceship Earth, we are part of the wonderful adventures of humankind among the stars. So I have made this resolution: I will have fun following our robotic missions to the planets, without letting the fun be spoiled by the knowledge that probably I won't see much more than that. "[Colonizing] other worlds is not something that takes ten years, or even a hundred," wrote Annalee Newitz (Newitz 2013]. "It might take much longer than that before humans are living on Mars, or in orbit around Saturn. But we are undeniably on the path toward a future where humans live in space. Our ancestors, who dared to learn from the planets and stars, led us onto this path. And now we are actually seeing those planets up close, for the first time in the history of our species." "Enjoy this small but incredible slice of time that you get to live through, and remember that Galileo would be weeping with envy and relief to know we made it this far," added Newitz. "Just because it takes centuries doesn't mean we aren't making progress." "We're riding a slow, powerful wave that will bear future generations to the stars." I often disagree with Newitz, an author who too often dismisses all radical futurist visions in the name of the dull political correctness now unfortunately fashionable in "liberal" circles, but I admit that she has the right attitude here. The road to space is long and difficult, and will probably take generations, but we are enjoying the first few miles as crew members of Spaceship Earth. "As William Sims Bainbridge pointed out in his 1976 book, The Spaceflight Revolution: A Sociological Study [Bainbridge 1976], space travel is a technological mutation that should not really have arrived until the 21st century," said Sir Arthur C. Clarke in a 2007 IEEE Spectrum interview titled "Remembering Sputnik" [Clarke 2007]. It appears that Sir Arthur was right - the youthful Apollo adventure of the sixties was an inspiring prelude of things to come, but space travel will become a reality only in this century. In this century, people could walk on the Moon again and build the first sustainable planetary colonies. That's the plan of NASA and other space agencies, a plan that seems likely to be achieved in the next decades, because it belongs to the realm of the possible. But of course the most visionary scientists and engineers are already venturing into the realm of the presently impossible, and developing plans to reach the stars. Alpha Centauri, the closest star system, beckons from a distance of more than 4 light years. That's quite a long road indeed, and requires long-term thinking. "In a way, a Centauri probe isn't modern," says Paul Gilster in Centauri Dreams: Imagining and Planning Interstellar Exploration [Gilster 2004]. "Paradoxically, it may require medieval thinking, the sort of thinking that built cathedrals in Chartres and Salisbury and Cologne." A space scientist quoted in the book says that we as a culture may have to start thinking in terms of centuries. "The average worker on a medieval cathedral didn't live to see it completed." I highly recommend Gilster's book and Centauri Dreams website among the best reference works on interstellar spaceflight. In 1994 Marshall T. Savage wrote The Millennial Project: Colonizing the Galaxy in Eight Easy Steps [Savage 1994], a wonderful call to arms to restart the countdown and get serious about space colonization, with a detailed step-by-step plan for humans to "explode into space and engulf the star-clouds in a fire storm of children, trees, and butterfly wings." "Because of us, landscapes of radiation blasted waste, will be miraculously transmuted: Slag will become soil, grass will sprout, flowers will bloom, and forests will spring up in once sterile places. Ice, hard as iron, will melt and trickle into pools where starfish, anemones, and seashells dwell - a whole frozen universe will thaw and transmogrify, from howling desolation to blossoming paradise. Dust into Life; the very alchemy of God." Savage appreciated that restarting the countdown is a cultural issue more than an engineering problem. Only a "human laser" formed by people acting "in synchronous harmony [creating] a coherent beam of intent" can get us to the stars. It appears that Savage's human laser, which was beginning to shine bright in the sixties, has stopped working. The question is how to fix it. See Frontiers of Propulsion Science [Millis 2009] (see also [Millis 2011] for a summary) for a description of advances in propulsion and candidate research steps that will lead to discovering if, or how, radical propulsion breakthroughs might finally be achieved. Back to Clarke's observation - "space travel is a technological mutation that should not really have arrived until the 21st century" - there's a case to be made that interstellar travel shouldn't arrive for many more centuries, because our frail flash and blood bodies aren't appropriate interstellar gear. In fact, even with suitable propulsion technologies, manned interstellar missions would be hugely expensive due to the need to ensure the survival and safety of the humans on-board and the need to travel at extremely high speeds. One solution is to do without the wetware bodies of the crew, and send only their minds to the stars - their "software" - uploaded to advanced circuitry, augmented by AI subsystems in the starship’s processing system. I have argued [Prisco 2012] that an e-crew - a crew of human uploads implemented in solid-state electronic circuitry - will not require air, water, food, medical care, or radiation shielding, and may be able to withstand extreme acceleration. So the size and weight of the starship will be dramatically reduced. Mind-uploading technology for software e-crews could make interstellar colonization practical, while delivering equally important spinoffs in neuroscience, computer science, and longevity, including indefinite life extension. The astronauts' memories, thoughts, feelings, personality, and "self" would be copied to an alternative processing substrate - such as a digital, analog, or quantum computer. A software mind running on an appropriate substrate can be much more resistant and long-lived than a mind caged in a biological brain, and it can be housed in a similarly resistant and long-lived robotic body. Robots powered by human uploads can be rugged, resistant to the vacuum and the harsh space environment, easily rechargeable, and much smaller and lighter than wetware human bodies. Eventually, human uploads augmented by AI subsystems will be implemented in the solid-state circuitry of the starship’s processing system. Boredom and isolation will not be a problem for e-crew members, because the data processing system of a miniaturized starship will be able to accommodate hundreds and even thousands of human uploads. If strong Artificial Intelligence (AI) is developed, perhaps smarter than humans, why should we bother to upload humans? One answer is that most of us will want human minds on our first journey to the stars. However, I agree with Ray Kurzweil's speculation that we will merge with technology, so many future persons will not be “pure" humans or pure AIs, but rather hybrids, blended so tightly that it will be impossible to tell which is which. Ultimately, I think space will not be colonized by squishy, frail and short-lived flesh-and-blood humans. As Sir Arthur C. Clarke wrote in Childhood’s End [Clarke 1953], perhaps “the stars are not for Man” - that is, not for biological humans 1.0. It will be up to our postbiological mind children, implemented as pure software based on human uploads and AI subsystems, to explore other stars and colonize the universe. Eventually, they will travel between the stars as radiation and light beams. "We may be at the start of a long, slow journey whose climactic moment comes thousands of years from now." Should we then forget the stars and wait for tomorrow's technologies? I don't think so, and one reason is that tomorrow's technologies won't arrive tomorrow, or next week, or in the next decade. I have been a transhumanist since I was a child, persuaded that humanity would transcend Earth and all limits. 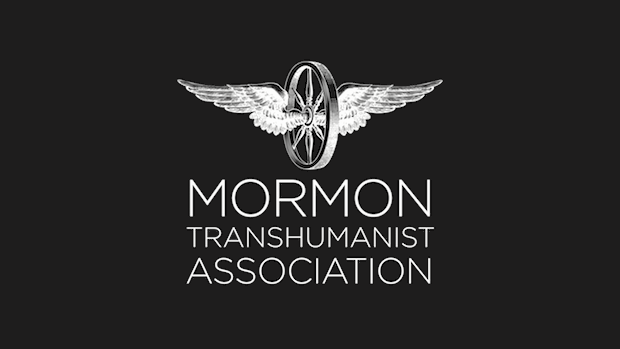 In the nineties I discovered organized transhumanism and became a card-carrying, unrepentant, in-your-face transhumanist. One little caveat though: I never believed that progress would be easy and fast. After two decades I am still persuaded that 1) we will transcend Earth and all limits, but 2) not anytime soon. I am confident that things like radical life extension, artificial life, sentient Artificial Intelligence (AI) and super-human AI, mind uploading, and interstellar colonization, will happen someday, but probably after my time. I never considered the hyper-optimistic predictions of Ray Kurzweil and others as even remotely plausible, and I don't see a Singularity in 2045 (or ever). I am afraid things will take the time they must take, with all the twists and turns and roadblocks and setbacks that happen in the real world. Getting things to almost work is much, much easier than getting things to work. Engineers know that even if you do 90 percent of the work in 10 percent of the time, then you will have to spend the remaining 90 percent of the time to do the missing 10 percent of the work. Same, of course, for money. Which means that 90 percent wasn't really 90 percent, because it left out all the boring details that take 90 percent of the money and the time - boring details like sustainability, operational robustness, error recovery, fail-safe operations and all that, without forgetting social acceptance, financial and political aspects. The impression that real AI seems always 20 years away indicates that perhaps we just don't know enough to estimate the development time-line for something that is actually 200 years away. A good analogy is Leonardo's flying machines. Leonardo understood that machines could fly, and produced sketches of flying machines, but the actual development of flying machines took centuries and required different technologies. Becoming an interstellar species will take centuries, and developing transhumanist technologies will also take centuries. The Catch-22 situation is that we need transhumanist technologies to colonize the stars, but we need a powerful overwhelming drive to fully develop transhumanist technologies, and space colonization can give us the drive. So I think we should start colonizing the planets and moons of our solar system, now. Watching the sky and knowing that other people are living and working there would be a powerful pointer to future, even more daring cosmic journeys, that could contribute to the mental health of the zeitgeist and give us a renewed confidence in the relevance of our lives on this little planet. Not everyone can be a space explorer, but we are all partners and stakeholders in the cosmic future of our species and its "manifest destiny" among the stars. This is a powerful meme that could result not only in much more support for space and advanced technologies, but also in a more positive and proactive attitude on other pressing issues, at a moment of our history where we need positive thinking, confidence and optimism. I often think that I would be happy to do the most menial, boring and repetitive work if I could do it on a starship. Imagine that you are part of a mission to the stars - wouldn't you be happy to clean toilets if that's the most useful task you can do? I most certainly would, and knowing that I am meaningfully participating in the mission to the stars would give me all the motivation I need, even if the mission takes centuries to reach a destination that I will never see. I would consider the mission as a a journey on sacred road. But on second thought, isn't that my current situation, and yours? We are all crew members of Spaceship Earth and parts, big or small, of our sacred journey to the stars. So this is my proposal. We should consider our first timid steps into outer space as the beginning of our journey on the sacred road to the stars. In Dan Simmons' Phases of Gravity [Simmons 1989], three Apollo astronauts remember their lunar mission sixteen years later. All three have been deeply touched by their adventure in space. One has taken an easy path and become a fundamentalist Christian televangelist, but the other two compare the mission to a sacrament, a sacred journey to places of power. The novel hasn't been widely acclaimed like other Simmons' works, but I think it shows Simmons at his best. The first steps on the sacred road to space are there to be seen, represented by a young woman, a seeker of places of power who believes in the richness and mystery of the universe. "[W]e need a new definition of spaceflight that will energize investment and innovation. I suggest a return to the traditional view: The heavens are a sacred realm, that we should enter in order to transcend death." Other scientists and philosophers, including the late psychologist Albert Harrison, have expressed similar views. In "Russian and American Cosmism: Religion, National Psyche, and Spaceflight" [Harrison 2013], Harrison explores the influence of religion on technology and society as we take the first steps to the stars. Harrison traces the roots of the Russian and American space programs in the works of visionary, spiritually oriented "prophets" of space exploration, and concludes that the United States has its counterpart to Russian Cosmism, for which no term seems more appropriate than American Cosmism. "Even Fedorov’s idea of reassembling the dust of all the people who ever lived has a Western counterpart: Frank Tipler's proposal to achieve resurrection and eternal life through computer emulations," notes Harrison. In "Starstruck: Cosmic Visions in Science, Religion and Folklore" [Harrison 2007], Harrison discussed Cosmist scientific visions, plans for expanding throughout the universe, and transcendence in space, including immortality and resurrection through computer emulations. - We will go to the stars and find Gods, build Gods, become Gods, and resurrect the dead from the past with advanced science, space-time engineering and "time magic." - God is emerging from the community of advanced forms of life and civilizations in the universe, and able to influence space-time events anywhere, anytime, including here and now. - God elevates love and compassion to the status of fundamental forces, key drivers for the evolution of the universe. Expansion into interstellar space is central to this vision. Like the medieval builders of cathedrals, we probably won't live to see even the first milestones on the sacred road, but we can find meaning and inspiration in contemplating the long road ahead and the transcendent places of power at the end of the road. I am persuaded that only a powerful Cosmist mythology can give future generations the strenuous spiritual stance required to advance on the sacred road to the stars. Both established religions and new "space religions" have an important role to play. That's it. Space supports religion by building the sacred road to the stars. Religion supports space by offering awesome visions of what we will find at the end of the sacred road: we will find God, transcendence, and universal love. The images taken by NASA's New Horizons probe show a big heart on the surface of Pluto. Like a Twitter emoji sent from outer space, Pluto's heart is beckoning to us and daring us to venture to the edges of the solar system, and then beyond, to spread love and compassion to the stars. I will now describe some ideas that have been proposed for visionary missions to the stars, which could be feasible before the end of this century and at the same time can serve as space-age cathedrals to provide a powerful spiritual inspiration to the next generations. The FOCAL mission proposed by the Italian space scientist Claudio Maccone [Maccone 2009] is not intended to reach other stars, but to establish an observatory in deep interstellar space, at about three light days from Earth, or 550 Astronomical Units - 550 times the distance of the Earth from the Sun. This is the distance of the gravitational focus of the Sun, where the Sun's gravitational lens effect predicted by Einstein's General Relativity provides a huge amplification of signals from the opposite direction (the Sun must be between the observatory and the target). Unlike optical lenses, in which the light diverge after the focus, gravitational lens effects continue in a focal line after the focus, and therefore a gravitational lens observatory would still work at distances greater than the focus. A gravitational lens observatory only works in one direction, but the signal amplification would be quite dramatic, of the order of 100 millions [Matloff 2005] or higher. For one particular frequency that has been proposed as a channel for interstellar communication, signal amplification would reach a staggering factor of 1.3 quadrillion. [Chorost 2013]. The Sun's gravitational focus is much farther than the orbit of Pluto, and therefore a FOCAL mission would qualify as an interstellar mission - a first outpost on the road to the stars, dedicated to important scientific research. In fact, the spectacular amplification of all electromagnetic radiation at the solar focus would permit astronomical observations of unprecedented precision, and could possibly permit detecting faint signals from, and then establishing permanents communication channels with, alien civilizations out there among the stars. Perhaps we need a gravitational lens router in place is we want to join the Galactic Internet of advanced civilizations. "[Radio] bridges between any pair of stars in the Galaxy can be built if the gravitational lenses of both stars are exploited by placing two FOCAL relay satellites on the opposite side of each star, so that a perfect (or nearly perfect) alignment between these four points in space is kept, said Maccone [Maccone 2012]. "Only now (2011) are humans realizing that radio bridges between couples of stars in the Galaxy can indeed be constructed. But, then, some other extraterrestrial civilization in the Galaxy might already have understood this a long time ago." Consequently, a sort of Galactic Internet might already be in use in the Galaxy now! But humans will be unable to benefit from this Galactic Internet until they reach the minimal focal sphere of their own star, the Sun (i.e., until a human FOCAL probe reaches 550AU or more). Once we learn to digitize consciousness and move it from biological brains to digital storage and back, the galactic communications network will become a galactic transportation network. It appears that a planet much bigger than the Earth could be located at a distance suitable for a gravitational lens observatory. The existence of the planet - dubbed Planet Nine - is suggested by astronomical observations [Gilster 2016], but it hasn't been definitely confirmed yet. If confirmed, Planet Nine would be the prefect stepping stone to the stars, close enough to be reachable with moderate improvements of today's technology, but far enough to be considered as an interstellar destination. Establishing a base on or orbiting Planet Nine (if it's really there) should be considered as an important priority for the first phase of interstellar exploration, especially if the base can double as a gravitational lens observatory. A base on the icy surface of a Planet Nine's moon, with an incredibly powerful observatory to probe the deepest mysteries of the universe and perhaps listening to alien civilizations far away. The gravitational lens observatory permits scanning whole distant galaxies to search for faint signals from advanced civilizations. If that's the first place of power on the road to the stars, I can't wait to get there or, more realistically, I want to do whatever I can to give a small contribution to the preliminary work. The awesome Breakthrough Starshot project, announced in April 2016, wants to send the first robotic probe to the nearest star, Alpha Centauri, in only a few decades [Prisco 2016]. If things go according to plans (things seldom do, but optimism feels good), some readers will be alive when the first data and images come back from the Alpha Centauri system. Breakthrough Starshot is not the first interstellar probe project, but it's the first with sufficient funding for a thorough feasibility study. In fact, initial $100 million funding was provided by Russian billionaire Yuri Milner, an early Internet enterpreneur and successful investor who already funded other visionary science projects. The project is also supported by physicist Stephen Hawking and Facebook creator Mark Zuckergerg. The key elements of the project are based on technology either already available or likely to be attainable in the near future under reasonable assumptions, and the Alpha Centauri mission is expected to require a budget comparable to the largest current scientific experiments. If so, the total funding needed would be of the order of $5-10 billion, which seems ambitious but possible. The star probe will be a highly miniaturized system on a chip, propelled by a 4-meter lightsail built with advanced nano-engineered metamaterials. The probe and its lightsail, both weighing only a few grams, will be pushed by light beams from high-power (100 gigawatt) lasers on Earth, accelerated to 20 percent of the speed of light, and reach Alpha Centauri in two decades. There is no room for a deceleration system, so the mission will be a high-speed fly-by with the goal of returning data and images. Among the many Starshot system design challenges, data return is expected to be one of the hardest, because there is little room for a communication system to send data back to Earth. Therefore, several experts have proposed combining the project with a FOCAL gravitational telescope pointed to Alpha Centauri, which would permit receiving the faint signals sent back from small, low power transmitters. It appears, pending further study, that a Starshot probe could work as a FOCAL telescope, staying on the focal line without slowing down. It's also worth noting that precursor Starshot missions, powered by preliminary, scaled-down versions of the laser propulsion system, could reach Planet Nine (again, if it exists) in relatively short times and gather useful data for a Planet Nine outpost. It appears that there could be useful synergies between the different projects aimed at Alpha Centauri, Planet Nine, and gravitational lens astronomy - we could use the same masonry for many cathedrals in space. Real thinking and feeling Artificial Intelligence (AI) of human (or more than human) level could be developed in a few decades, in time for the Starshot launch. Sending a real AI instead of dumb unthinking software to Alpha Centauri would be equivalent to sending a person (think for example of Samantha, the AI in Her [Prisco 2014]). Even more interestingly, mind uploading technology, which could developed in this century, would permit sending human astronauts as software entities living in the star probe processors. Martine Rothblatt, a billionaire technology entrepreneur and a visionary thinker, proposed to send "mindclones" - software entities based on recorded human personalities - to the stars, embedded in advanced on-board data processing systems [Rothblatt 2014]. "Software functions on space probes sent to nearly every solar planet, oblivious of the biologically deadly vacuum of space," says Rothblatt. "The proverbial thousand-plus years it would take to send a spacecraft to one of the dozens of Earthlike planets discovered by the Kepler satellite observatory might be bearable for a large mindclone community on board that spacecraft, maintaining radio contact with the Earth." At the 2012 Public Symposium of the 100 Year Starship (100YSS), an initiative, initially sponsored by DARPA and NASA, intended to make the capability of human travel beyond our solar system to another star a reality over the next 100 years, Rothblatt proposed to extend the invitation to create a mindclone bound to the stars to everyone [Rothblatt 2012]. A large software e-crew of human uploads and AIs on a starship en route to new worlds around another star. Boredom isn't a problem for crew members, whose subjective time is spent with many good friends in incredibly rich virtual reality environments. There are lots of things to do, and preparations to make for the arrival in the target star system. Once there, the uploads will interface with sensors and robotic bodies to explore the new planets, and build receivers for colonists beamed from the Earth on light waves. Wouldn't you want to go? I would definitely go if I could have the chance. Sadly, this possibility isn't likely to materialize in my lifetime. However, like the medieval builders of cathedrals, I look forward to doing whatever I can to contribute to the preliminary work, here on Earth, to open the sacred road to the stars. Bainbridge, William Sims. The Spaceflight Revolution: A Sociological Study. Wiley, 1976. Bainbridge, William Sims. Religion for a Galactic Civilization 2.0. IEET, 2009. Chorost, Michael. The Seventy-Billion-Mile Telescope. The New Yorker, 2013. Clarke, Arthur C. Childhood's End. Ballantine, 1953. Clarke, Arthur C. Remembering Sputnik. IEEE Spectrum, 2007. Gilster, Paul. Centauri Dreams: Imagining and Planning Interstellar Exploration. Copernicus, 2004. Gilster, Paul. Evidence for 9th Planet Unveiled. Centauri Dreams, 2016. Harrison, Albert A. Starstruck: Cosmic Visions in Science, Religion and Folklore. Berghahn, 2007. Harrison, Albert A. Russian and American Cosmism: Religion, National Psyche. Astropolitics: The International Journal of Space Politics and Policy, 2013. Maccone, Claudio. Deep Space Flight and Communications: Exploiting the Sun as a Gravitational Lens. Springer, 2009. Maccone, Claudio. Mathematical SETI: Statistics, Signal Processing, Space Missions. Springer, 2012. Matloff, Gregory L. Deep-space Probes: To the Outer Solar System and Beyond. Springer, 2005. Millis, Marc G., and Eric W. Davis, eds. Frontiers of Propulsion Science. American Institute of Aeronautics and Astronautics, 2009. Millis, Marc G. Progress in revolutionary propulsion physics. arXiv, 2011. Newitz, Annalee. Stop pretending we aren't living in the Space Age. io9, 2013. Prisco, Giulio. Uploaded e-crews for interstellar missions. KurzweilAI, 2012. Prisco, Giulio. Spike Jonze’s Her - Love in the time of AI. H+ Magazine, 2014. Prisco, Giulio. Breakthrough Starshot: The First Steps to the Stars. IEET, 2016. Savage, Marshall T. The Millennial Project: Colonizing the Galaxy in Eight Easy Steps. Little, Brown, 1994. Rothblatt, Martine. We Are the World: Inviting Everyone Onboard the 100YSS Is Practical and Will Help to Ensure Its Success. Proceedings of the 100 Year Starship Symposium, 2012. Rothblatt, Martine. Virtually Human: The Promise - and the Peril - of Digital Immortality. St. Martin's Press, 2014. Simmons, Dan. Phases of Gravity. Subterranean, 1989. 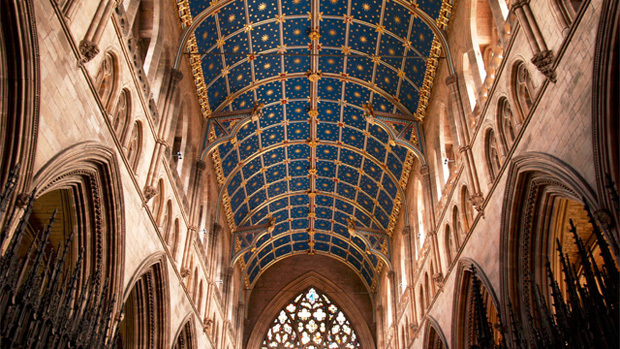 Image: Carlisle Cathedral, from Wikimedia Commons. Online forums and social media are great and terrible places to test your critical thinking. As I've written on Mormonism and Transhumanism on Rational Faiths, Exploring Sainthood, and the Transfigurist for over two years, now, as well as interacting on online LDS faith transition and support groups for this same time, I've experienced warm approval, condescending criticism, and a lot of good (if sometimes intense) dialogue. 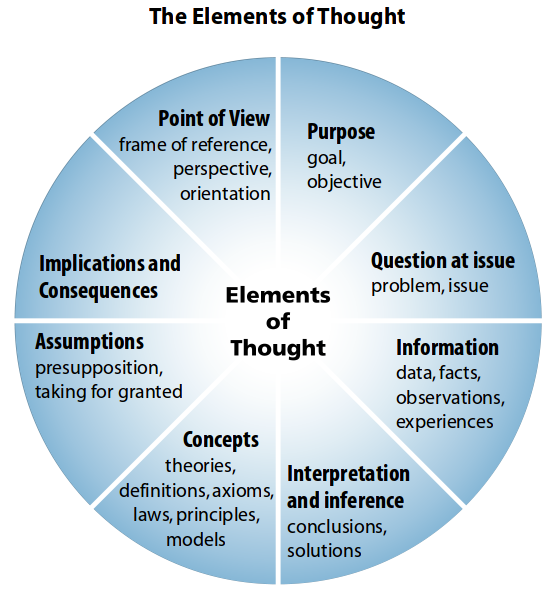 Any of you who have followed similar paths will have seen the same trends--most arguers can see how they are thinking clearly and critically and you aren't. Not everyone does do that, but a lot of us think it in our heads at least. I think this is especially true in our early stages of understanding a new thing. 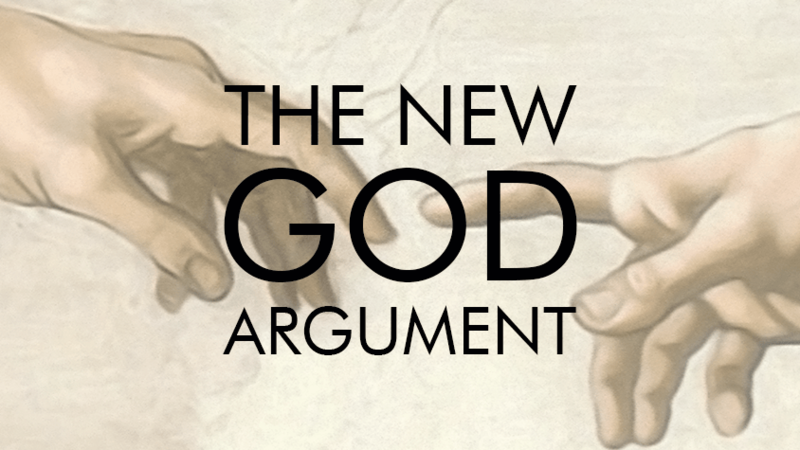 When we finally make sense of the New God Argument, or figure out the impossibility of textbook style historicity for the Book of Mormon, or realize that there is no way our childhood God could be more than a fantasy--or perhaps even evil--we get a real rush. Our bodies release dopamine at these moments of enlightenment, and we feel excitement and even joy. We want to share what we learned, and we subsequently feel great frustration when others reject the beautiful opportunity we are offering them. And it's even worse when they start (or continue) arguing for the goodness or rightness of something we no see is wrong, misguided, ill-informed, or even hurtful. We have stretched our critical thinking muscles, and think the rest of the world should be working harder at developing their own. Here is my invitation. As we discuss such heated topics as Mormonism, gender, race, politics, Transhumanism, etc., as we become more enlightened and leave behind some of the fables of our youth, as we become more progressive (I choose this for me, but you can substitute your change) and reject as less informed or out of date the views of our parents, church leaders, or our cultural contemporaries--can we take a few minutes and think about one of our recent arguments? You have one in mind? When I implied that my wife hasn't thought as carefully as me about that topic, was I only assessing data and its interpretation? Was I only considering accuracy, precision, and logic? Was I forgetting other points of view? Forcing assumptions on her that she doesn't share? Overstating the significance of that topic? Forgetting our shared purpose and goals? Failing to recognize the importance of related, interconnected topics? Ignoring the emotional content of human interactions? That's right. Emotional content. 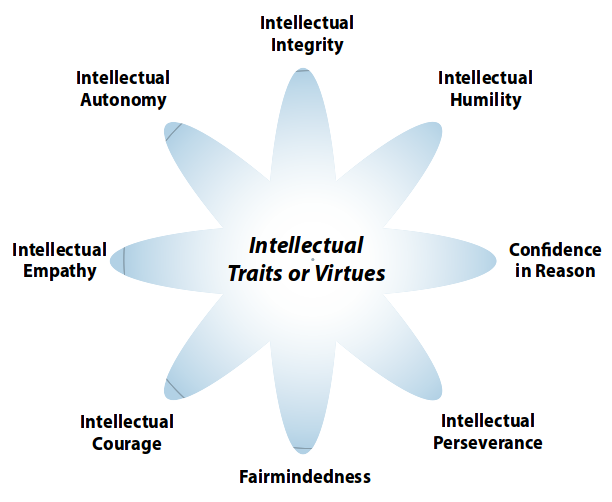 As we develop our expertise with intellectual standards and elements of thought, we develop Intellectual Virtues--and many of these are emotional. Am I showing respect to others' views? Even those I'm confident are wrong? Too often my answer has been no--and with an answer of no, how can I be showing empathy, humility, or fairmindedness? My confidence in reason is only one virtue. My intellectual integrity is only one virtue. My perseverance to study an issue as far as it can be currently understood is only one virtue. And there's the obvious fact that having applied all these virtues to one set of questions doesn't mean I've thought expertly about them all--or that others who have come to different conclusions have failed in applying their virtues. Remember? Different points of view? Different assumptions? Even different data as we have each lived different lives. 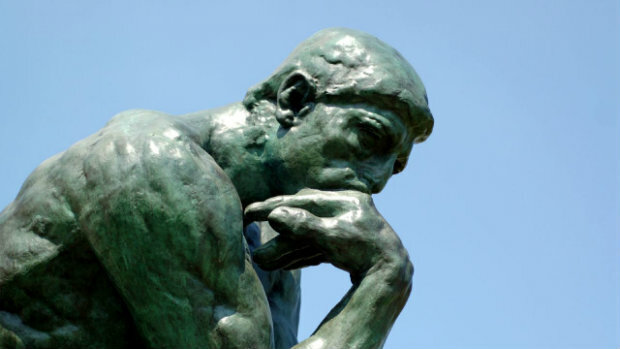 So as we think and write critically, let's make sure we take time for reflection and ask if there isn't one more tool we can add to our critical thinking toolbox, and one more virtue we can add to our intellect. Whatever faults it may have, there are some pretty prominent invitations in Mormonism to seek virtue and increase in intelligence. Maybe, whatever our beliefs are growing into, if we work together with love and respect, we can increase in both.